A mindset is a collection of beliefs, assumptions and methods we have about how to do things and what things mean that is so established that it provides a powerful driving force for our decisions and choices. In Mindset: How you can fulfil your potential Carol Dweck looks at the impact on success of a fixed mindset or a growth mindset. Success is defined in terms of achieving goals, pursuing dreams and having good relationships. A fixed mindset is a collection of beliefs that says whatever you do is a test that you have to pass. A score on an exam, performance in a game, how you do in a meeting, whether you get on with people. If you do good, you are good. If you don’t do good, then you’re rubbish. Everything becomes a sign of your ability. People with fixed mindsets tend to believe that abilities like intelligence, creativity, athleticism, strength, courage, or singing are innate. You’re born with a certain amount of these things and that’s it. If you can’t cook an omelette the first time you try then you can’t cook. And you’ll never be able to cook. Fixed mindsets develop when kids are praised for being something or criticised for not being something, as in ‘you’re so clever’ or ‘you have no sense of rhythm’. It’s reinforced by the behaviour of adults demonstrated a fixed mindset about themselves. The cultural belief that if you’re good at something then it should be effortless. A growth mindset sees everything as a learning opportunity. If you don’t do well on a test, then that tells you to try harder, to work smarter, to think about what you could have done differently. It encourages you to look at what other people do well to see what you can learn from them. People with a growth mindset believe that whatever level of talent you start with in any sphere of life you can learn to do better. If you can’t cook an omelette the first time you try then you recognize that you have a lot to learn and practice will result in a better omelette. Growth mindsets come from being praised for working hard, practicing and honest feedback about how you did. The book is filled with examples of business leaders, sports people, musicians and many others who demonstrate either of the mindsets. 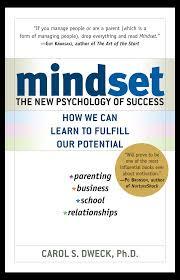 Dweck says that most people have a mix of growth and fixed mindsets, that you believe that there are some traits and abilities you can change and some you can’t. She also provides examples of people who changed from fixed mindsets to growth mindsets. I found the book inspiring and it was a joy to read. I recognise that I grew up with a mostly fixed mindset but over the last fifteen years have moved to a growth mindset in many areas. But there are still places where I have a fixed mindset and I’m motivated to change that. I know that under stress I can fall back into fixed mindset thinking, but I also know that I can move on from there. The book is fantastic and I highly recommend it. 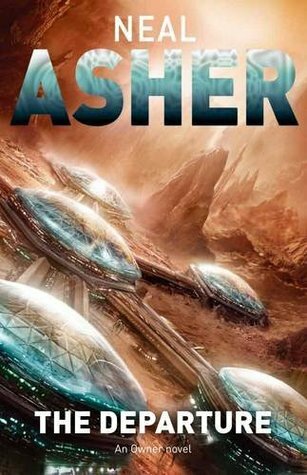 I’ve read some of Neal Asher’s Polity novels and enjoyed them, so I thought I’d try the first in another of Asher’s series, The Departure. In a near-future dystopian version of earth, a totalitarian world government is hoarding resources and allowing the vast population to starve. Dissidents are dealt with by torture and scientists are forced to develop cybernetic neural implants. They have prisoners to practice on. One man is on a mission of revenge. He doesn’t know who he was, but he does know he was tortured and sent for incineration. Somehow, with the help of a rogue AI, he survived and is hell-bent on destroying the man who tortured him. The Departure is the events that lead Alan Saul to remember who he was and collect the elements he needs to complete his mission. Like the Polity novels, The Departure is pretty hard sci-fi and takes a while to get into. I didn’t like this novel as much as the others. It was hard work and I nearly gave up. I think the reason it didn’t work for me was that I didn’t find much differentiation between the point-of-view characters. Most of the book is from Saul’s point of view, but there are sections set on Mars from the point of view of Var, a senior technician, and sections from the point of view of Heather, Saul’s girlfriend and the creator of much of the cyberware that enables him to carry out his mission. Saul is hard to identify with: he’s cold, emotionless and ruthless. When it’s revealed that he’s autistic some of that makes sense, but it’s still hard to care. Var feels like a set-up. She’s a plot device not a character. Heather is supposed to be Saul’s conscience but she doesn’t have much depth. Her main function in the story is to provide an external view of Saul, to show the reader what his neural tech costs him physically, and to humanise him a bit. Neither Var nor Heather come across as characters in their own right. I think the same is true of the villain, Director Smith. He is depicted as a sadist and an ambitious politician, but we don’t really get any sense that he’s developed beyond that. So, I did finish it eventually, and the ending was really good. The novel is the first part of a series and this book sets up what the series will be about. It was exciting and made me want to read the next part. It’s conceivable that the characters make get stronger. It may be some time before that happens but I’m not ruling it out. I have a sort-of-new job at work and so I have had a spate of reading business books. 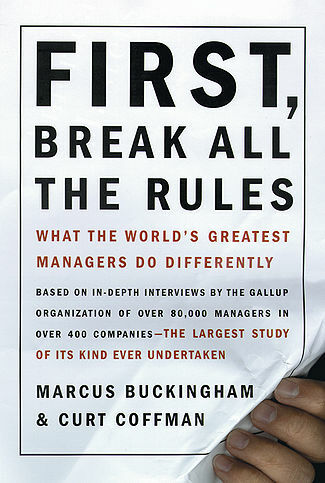 First, Break all the Rules by Marcus Buckingham and Curt Coffman is about how great managers get the best out of people. I’m a manager and I think I’m pretty good at it, but I can do better and lately I know I’ve not given my team as much attention as I would like. First, Break all the Rules is based on identifying great managers and studying what they do, both within organizations and between organizations. It distinguishes between good and great. The book doesn’t just look at what average (good) managers do, it looks at the people who are exceptional. What is interesting is that what great managers do is defy conventional wisdom. For example, most performance management is based on helping people identify their weaknesses and overcome them. Great managers focus on strengths and getting people into situations/roles that enable them to capitalize on what they do best. Weaknesses are worked around. I realised I’m tired of working on weaknesses and I’m inspired by the idea of building on strengths. It also talks about how competencies tend to reduce everyone to averages rather than helping people to be their best. We’ve just introduced competencies at work, lol. It was published in 1999 and some of the examples feel a bit dated. I liked it and found a lot useful. Part of the reason I liked it is because I’m already doing some of the things it says great managers do, so clearly the book is amazing. Some of those things aren’t supported by my peers and managers and I’m liking the reassurance that I’m on the right track. But also, I’m inspired by new-to-me suggestions. Half of a Yellow Sun by Chimamanda Ngozi Adichie has been on my shelf for a while. I was leant it by a friend and have been feeling bad about having kept it for so long. Lately, I’ve seen Adichie’s name mentioned in a lot of the media I read and it inspired me to pick it up. I can’t say why it has sat there unread for so long, except that I thought it might be heavy-going. I was wrong. It is a beautiful read. 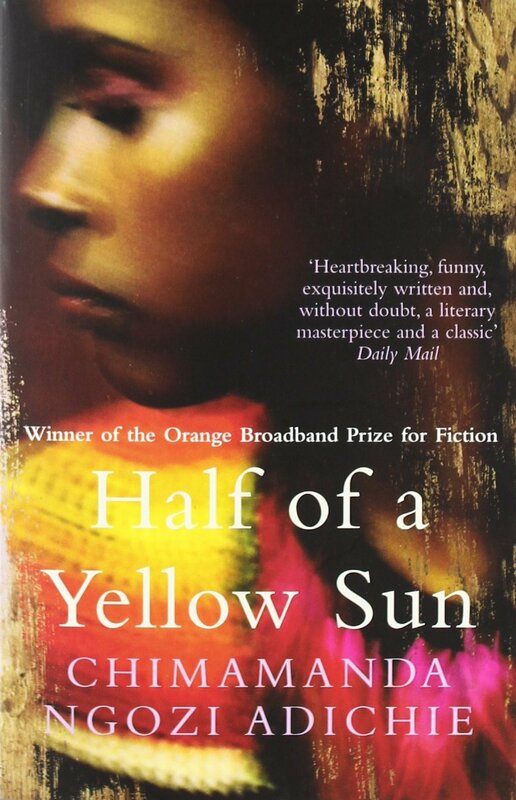 Half of a Yellow Sun depicts the Nigerian civil war in the years just after independence from the British Empire and the short-lived existence of Biafra through the point of view of three very different characters. Ogwu is a village boy who gets a job as a house-boy to a university professor with radical views. He grows up in awe of learning and listening to the political debate his master and friends engage in. When the war comes he’s torn between looking after the family and becoming a soldier. He’s forcibly conscripted and his experience is horrific. Olanna is the daughter of a wealthy business man and was educated in London. She loves Ogwu’s professor despite her family’s disapproval. When times are easy she seems to struggle to navigate her relationships but when times are hard she’s the one that holds it all together. Richard is a white man that comes to Africa to escape his family. Before Nigeria becomes independent he thinks he has a good position. He loves Igbo art and culture, almost to the point of fetishizing it, and finds it’s purest expression in Kainene, who is Olanna’s twin. He rejects British expatriate culture and embraces Nigerian culture. After independence he finds that no one trusts him, but he stays in Biafra and doesn’t leave even after Kainene dies. This is a big book in many ways. There is so much in it. As well as the three point of view characters there is a host of secondary characters that pop out of the page. Characterisation is good. Everyone in it is real. It’s a literary novel so it is heavy on narrative. 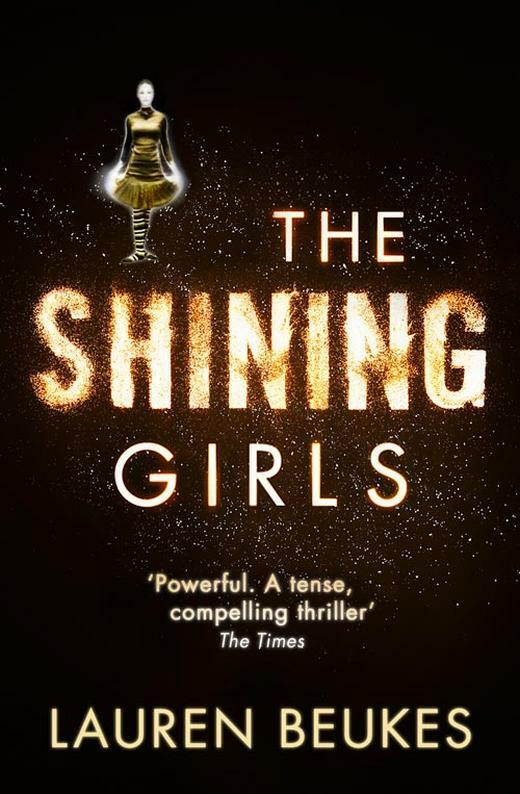 Generally I like more action-driven books, but when the literary genre is done well it is amazing. This is done very well. The narrative builds the setting and the characters and brings the world to life rather than weighing the story down with exposition. I knew very little about this time and period of history – African decolonisation after WWII was my favourite class at university but we covered a lot in low detail – and I really enjoyed being educated about it. It was moving. I laughed and I cried. Mostly I cried. There are some books that are so good I feel like giving up writing because I could never produce anything anywhere near as good. This is one of those books. Lately the urge to review books has sprung up again. I’ve read some good stuff lately (and some not so good stuff) and I’d like to record it. 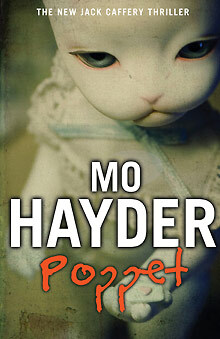 So, first up is Poppet by Mo Hayder. I’ve only read one of her books before, Pig Island, and it was ok but not great. What really made me want to read this book was the cover art. I saw a couple of posters on the tube and it stuck in my mind. It is arresting. I love the face of the poppet. It’s creepy but also kind of beautiful. (I’ve just put the picture in the post and I can’t stop looking at it). Poppet is the seventh of Hayder’s Jack Caffery series. I haven’t read any of the others but it doesn’t matter because Caffery is only one of several POV characters. The main character is AJ, who works in an institution for the criminally insane. Two of the inmates die and some others harm themselves in horrific ways. It is initially set up as a supernatural horror, but then segues into the horror of what other people do to each other. That’s my favourite kind. To start with the patients are afraid of the ghost of a former matron who punishes the wicked with biblical quotes and does horrible things to them. AJ is annoyed with himself for starting to believe this stuff and decides to get to the bottom of it. His investigation points to one of the inmates, who makes poppets of the inmates and staff, who has horrible personal habits, and who murdered his parents in an especially gruesome manner. This inmate is released and AJ goes to the police, fearing he will try to kill the head of the institution. Jack Caffery is working on a missing person case that a colleague has covered up and is trying to find a way to give closure to the family whilst protecting his colleague. His boss insists he takes this case but it’s so weird that doesn’t take it as seriously as he should. The actual evil is something else again and Hayder puts in a couple of other plausible red herrings before the big reveal. I’m so glad I picked it up. This is a better book than Pig Island in terms of characterisation and writing. It is an equally easy read but is more gripping. The twists and turns are exciting and surprising, yet make complete sense in the context of the book. I liked it a lot and will read more of her books.